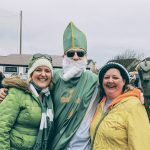 Despite the rather risky weather, hundreds of people lined the streets for the 2019 Ballina/Killaloe St. Patrick’s Day parade and the organising committee would like to say a huge thanks to all those who helped make the day such a success. Main Sponsors of this year’s event: Tipperary County Council and Technopath Clinical Diagnostics. Allied Irish Bank, Birdhill Tidy Towns, Brian Ború on the Hill, Car Pal, Collins Pharmacy Ballina, Derg Credit Union, Farrell’s SPAR, Fergus Collins Construction, Fine Rags, Flanagan’s on the Lake, Gooser’s Bar & Restaurant, Grogan’s Pharmacy & Optician’s, Harry Brann Auctioneers, Irish Taekwondo Academy, Kieran Scullane Home Improvements, Kilbane Tractor Run, Killaloe Garden Hire, Killaloe Post Office, Larkin’s Gala, Lough Derg FC, McKeogh’s Hardware, Scoop’s Ice-Cream Parlour, The Lakeside Hotel & Leisure Centre, & Walsh’s Bar. We would also like to thank the following who, due to other commitments, were not able to attend on the day – Cllr. Joe Cooney, Councillor Ger Darcy and Sadie Scanlan. We look forward to seeing you for Féile Brian Ború 2019 which this year will take place on the later dates of from Wednesday 17th – Sunday 21st July. Follow us on Facebook (www.facebook.com/Feilebrianboru) to get updates on this years’ festival. We are delighted to announce that this year’s St. Patrick’s Day parade will take place on Sunday 17th March 2019. The parade will start from Ballina GAA complex at 2:30pm, travel through Ballina, across the bridge, finishing in the Green in Killaloe. All local businesses, clubs and individuals are encouraged to take part on the day. All entries must complete a St.-Patricks-Day-parade-application and return to the committee. A prize will also be presented to the business or home with the best dressed window in Ballina & Killaloe. Plans are well underway for this year’s parade and it’s guaranteed to be full of music, entertainment, colour and fun! This year’s parade will leave Ballina GAA Complex @ 1pm and it will follow the usual route, finishing in the Green, Killaloe. We are encouraging all businesses, clubs, organisations and individuals to get involved and enter a float – All creative interpretations are welcome! To register an entry, please contact John Grimes 086/2587819 or Paddy Collins 087/2615406 or e-mail info@feilebrianboru.com for a registration form. Prizes will be presented on the day for the best entries. A prize will also be presented on the day for the business or home with the Best Dressed Window so if you would like to help add colour to the streets of Ballina/Killaloe by decorating your window(s), please e-mail to info@feilebrianboru.com. 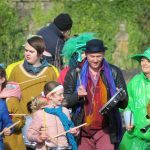 We hope you will join us in celebrating the 2018 Ballina/Killaloe St. Patrick’s Day Parade in style! Plans are well underway for the 22nd Annual Féile Brian Ború in Ballina/Killaloe. From Wednesday 1st July – Sunday 5th July 2015, experience a variety of fun activities including, historical guided tours, a stunning Fireworks display over the river Shannon, Traditional Craft Experience, Animal Magic with their amazing display of animals, Strut your Mutt Fun Dog Show, Children’s Art Competition, Art exhibitions & displays, Street Theatre, Live Music, Table Quiz, Farmers Market, Shannon Swim, Canoe Polo and much, much more! 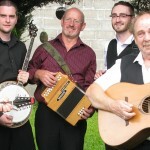 Féile Brian Ború 2015 Highlight – Legends of Irish music & song The FUREYS will play LIVE in concert in The Lakeside Hotel on Sunday 5th July. Renowned for their hit songs ‘I will love you’, ‘When you were sweet 16’, ‘The Green fields of France’, ‘The old man’, ‘Red rose café’, ‘From Clare to here’, ‘Her father didn’t like me anyway’, ‘Leaving Nancy’, ‘Steal away’ have been entertaining audiences worldwide for 37 years. Their emotive songs stir many emotions….tears and laughter, sadness and joy. A FUREYS concert is always a night to remember. Tickets €20. For further information and tickets, contact The Lakeside Hotel T: 061-376122. Féile Brian Ború 2015 – Fun for all the family guaranteed!